The history of Kerala Varma Pazhassi Raja is one of the most remarkable epochs in the chronicles of Malabar. 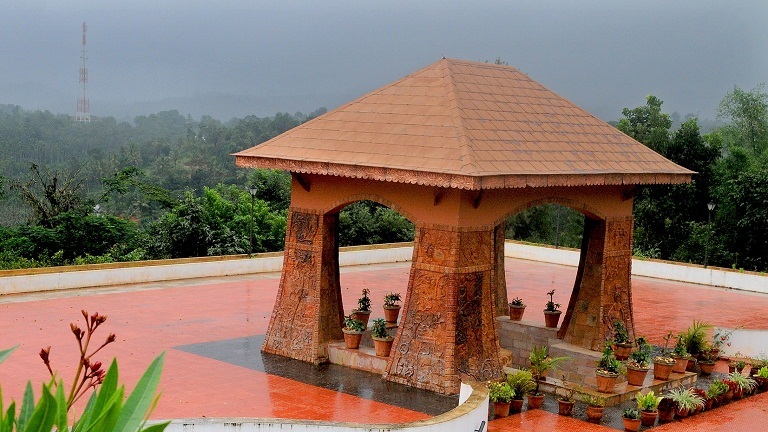 The tomb of Kerala Pazhassi Raja, situated on the banks of River Kabani at Manathavady has been declared as protected monument by State Archeological Department. In 1996 March this memorial has been converted to museum and later in 2008 it has been expanded by adding more artefacts. Today the museum is one of the centres in the state which attracts historians, researchers and students from far and wide. The museum has four galleries – Pazhassi Gallery, Tribal Gallery, Heritage Galley and Numismatic Gallery. The museum has an exquisite collection of various orders and letter of communication by British to suspended the Pazhassi Revolt; ancient weapons; stone statues; utensils, furniture, weapons related to the tribal culture and rare coins. A garden has also been developed near and is a favourite hangout for the visitors.